All of our Accounting and Financial Management courses have been accredited by the Chartered Institute of Management Accountants (CIMA). 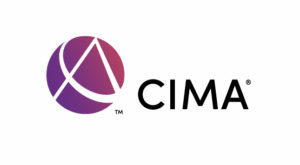 CIMA is one of the leading professional bodies for management accountants with more than 281,467 members and students in 177 countries. The registration fee for CIMA is paid for by us, so many benefits are available to our students free of charge. You can take advantage of CIMA online communities and free resources, including career support services such as: interview tips; CV support; discussion forums; graduate vacancies; networking events and employment skills classes. CIMA prepares people for a career in business. It teaches skills for strategic advice, managing risk and making key decisions, with a syllabus designed to deliver a strong understanding of all aspects of business so members can contribute in many areas of the organisations they work in. Because all of our BA (Hons) Accounting and Financial Management courses are accredited by CIMA, our graduates will be granted exemptions from 9/13 CIMA modules.